This is a great example of an established brand "growing bigger ears" and hopefully we begin to see more of this. Don thanks for visiting the site and for your comment. Vanguard deserves kudos for listening and for fixing this situation in a timely fashion. Roger, first off, that's a really interesting angle on the situation I never would have considered. Thanks for highlighting that (since I often act as though Vanguard can do no wrong). Next, congrats on your use of Twitter to drive results. I've had a few decent examples of having things resolve by companies that have a presence on twitter; Comcast comes to mind. Thanks for visiting and for your comment. As I said in the post I'm a huge Vanguard fan and between their funds and ETFs they comprise a significant portion of my client's assets. I'm not sure if it was their intent to do this only for their direct clients, but when I initially contacted one of their reps he gave no indication that the lower share class minimums would be extended to shareholders at other custodians, including funds held in 401(k) plans. I am in the process of converting the few clients who are eligible, even a few extra basis points helps. Robert thanks for your comment and the kind words. You are absolutely right in that many of us NAPFA members do blog and write and we should pool these resources on issues that are key to our clients and the investing public. Roger, I liked this on so many levels. First as a reminder to see if my shares in total return have been transferred to the Admiral shares. Second, the power of social media and it's impact. Barbara thanks for your comment. If you hold the shares directly with Vanguard they may well have already been converted but it is a good idea to check. I've been involved in social media for less than two years and I never cease to be amazed by its power and impact. Financial advice helps you make decisions about your money. 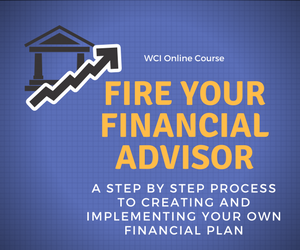 Personal advice considers your own objectives, financial situation or needs, and then recommends strategies and one or more financial products to suit you. Good advice from an experienced, well-informed financial adviser can help you save money and become more financially secure. Thanks for your comment, Happy New Year. Media tool or a story about the innovative ways people were using these tools, such as in the aftermath of the earthquake in Chile. While it has been tempting for public relations professionals and their clients to jump on the.Rachael Siefert posted this on October 22nd, 2010 TweetIn March, I wrote about the phenomenon of people using Twitter during natural disasters to share updates and insights from the ground and let the world know that they are okay. Jamie thank you for your comment.